Lennox Paterson: Clyde Shipping Company. Waterford – Liverpool service. c. 1950. 101 x 76cms (40 x 30 inches). Category: Travel Posters. 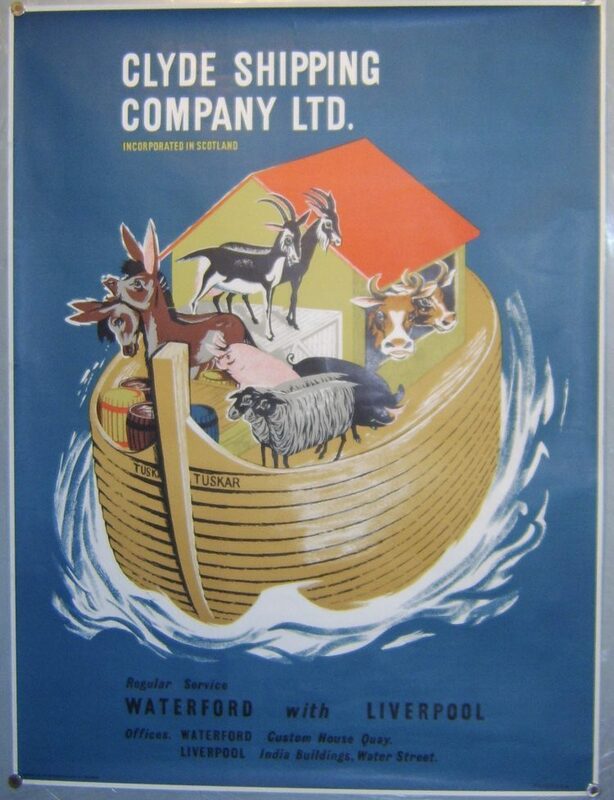 Tags: Clyde Shipping Co poster, Lennox Paterson poster.